RALAP SS: 70th Independence Day was celebrated at Ralap SS with great enthusiasm and joy. Sports, cultural activities and felicitation were the highlight of the day. Basant Lamichaney, Chairman, SABCO, Gangtok was the Chief Guest of the day while other distinguished guests present on the occasion included Am Prasad Sharma, former MLA Singtam Khamdong, MT Sherpa, Director, School Education/RMSA, HRDD, Gangtok, Lobzang Bhutia, JE, HRDD, Gangtok, Panchayat members, guardians and others. The Chief Guest unfurled the national tri colour flag thereafter the students and the gathered crowd sang the national anthem. Bishal Sunwar, Panchayat read out the HCM message send to the school. Dorjee Sherpa, Principal of Ralap SS gave the welcome speech where he thanked everyone for their participation. The students of the school participated at March Pass and drill that was thoroughly enjoyed by the crowds. The cultural events were other mass attraction that had huge appreciation. 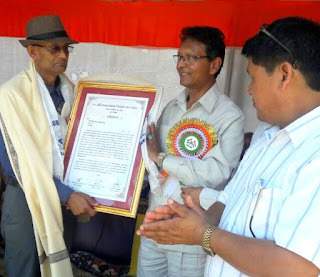 LD Dhakal, the founder teacher of the school (1974) was felicitated by the Independence Day Celebration Committee where Sharmila Chettri, Panchayat read out the citation. Dakhal was presented citation and a shawl by the Chief Guest. The other highlight of the day the Open Football tournament was won by Evergreen Club, Sumin defeating Border Road Organisation FC, Ralap with four goals to two. Winner teams lifted the trophy and a handsome amount of Rs 50,000 and the runner-up team took home a runner trophy and a cash of Rs 30,000. 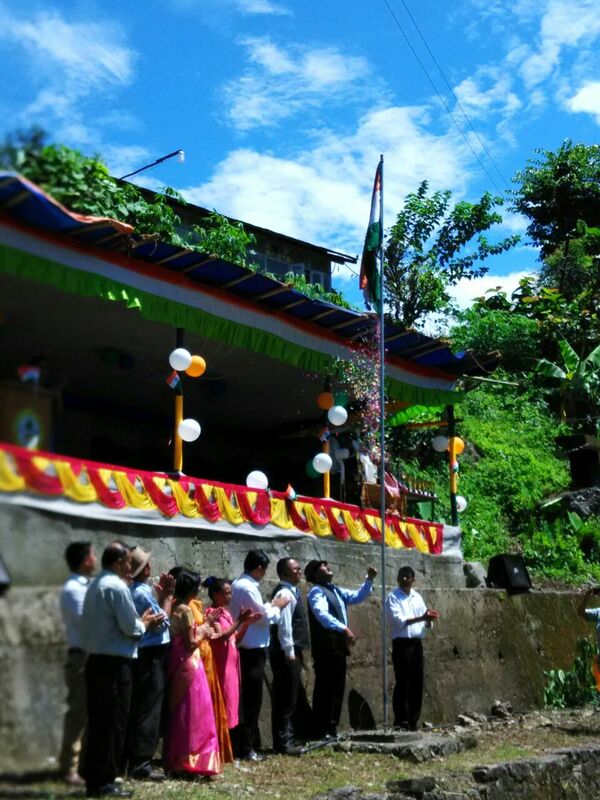 CHISOPANI, East Sikkim: Jas Lal Pradhan, Arjuna Awardee Boxer, Asian Games Gold Medalist and former Olympian was the Chief Guest at the 70th Independence Day Celebration held at Sakyong Chisopani JHS ground. 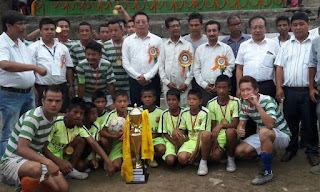 The major attraction of the day was the felicitation ceremony followed by Volleyball exhibition match and the final of the Open Football Tournament. Satish Chandra Pradhan, Headmaster of Sakyong Chisopani JHS gave the welcome speech where LN Sharma, teacher of the school read out the HCM message. 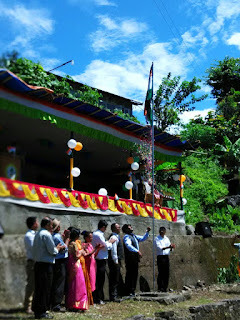 School staff joined the students at the ground during the singing of the national anthem at the time of flag hoisting. 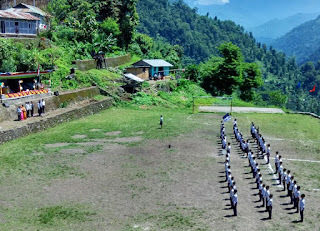 The students of Sakyong Chisopani JHS presented parade, yoga demonstration, rhymes by junior classes and cultural programs that was appreciated by everyone. Village sports that included tug of war and passing the ball had participants from the public. Members of different Self Help Group presented an integration song. The major highlight of the celebration was the felicitation of three personalities by Sirwani Chisopani GPU and the Celebration Committee that included Ajay Rai, Office-In-Charge, Singtam Police Station, Sonam Bhutia, Range Officer, Forest Department, Singtam and Manju Shanker, Branch Manager, IDBI Bank, Singtam. Volley Ball exhibition match played between teachers of Sakyong Chisopani JHS and village team of Chisopani was won by the school team. DP Pandey was presented with the best player trophy. 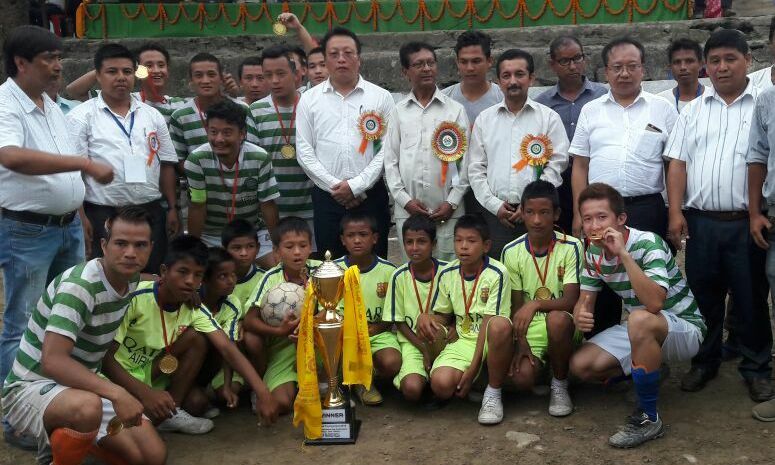 The team of Chorten Monk won the Open Football Tournament in an extra time. The winner and the runner team won trophies along with Rs 30,000 and Rs 20,000 respectively. 5 August 2016, New Delhi: Hon’ble Member of Parliament of Sikkim Constituency, Mr. P.D Rai brought to the notice of the Lok Sabha the current situation of the damaged National Highway-10 due to incessant rains leading to frequent landslides and building of low level dams on Teesta River. The house was informed about the critical importance of the highway which is the lifeline of Sikkim given the lack of rail and air connectivity. Mr. Rai stressed on the strategic and economic importance of the highway leading to Sikkim as it sustains all forms of economic activity which include our exports of organic produce and maintain the tourism industry of Sikkim. It thus, affects our farmers and young people engaged in tourism. He urged the Government to take immediate cognizance of the situation and take necessary action as the situation has aggravated to a point where there is imminent danger of huge disruption. Mr.Rai also expressed his concern on the vulnerability of the people of Sikkim due to limited access in case of closing of the highway even for a few hours. The matter was brought up as a Matter of Urgent Public Importance under rule 377 of the rules of procedure of Lok Sabha. A reply from the Minister of Road Transport & Highways is expected shortly.